Our advanced PureOpticsTM reflectors are engineered to provide maximum efficiency and performance over a long service life.  At the heart of the PureOpticsTM system is a series of advanced glass reflectors which are treated with a multi-layered dichroic coating to provide exceptional reflectivity for the wavelengths within the visible spectrum. Internationally accredited NATA test laboratories confirm that the PureOpticsTM reflectors achieve up to 15% more light output than leading aluminium reflectors. The PureOpticsTM elliptical reflectors are designed to provide precise beam control. The reflectors project a convergent beam, dramatically reducing the cut-off experienced with parabolic reflectors when tilted. This combined with the accuracy of Lumascape’s direct-drive tilting gimbal assembly enables accurate beam control. The coating on the PureOpticsTM reflectors has been optimized for each specified lamp. Visible light reflects off the reflector surface while infrared rays pass back through the reflector thereby reducing the surface temperature of the glass. This 'cold mirror' effect maximizes the reflected light whilst ensuring that HumanTouchTM temperatures can be achieved on the luminaire glass surface. Through careful design, sensitive internal component temperatures are maintained well below critical maximum operating limits. A clear and ultra-tough titanium layer protects the reflective surface of each reflector to provide many years of service without degradation of the reflective coating. One of the advantages of the PureOpticsTM reflectors is most easily demonstrated when used in wall washing applications. When using an elliptical reflector design, combined with the LS688 wall wash lens accessory, and utilising a 20° reflector tilt, the light can be projected virtually to ground level without significant scalloping.